Keeping PNG images to a reasonable size is at times quite a challenge. Transparent PNGs offer their own set of challenges as most of the online compression websites out there either turn your PNG image rough looking or like most they take a transparent background and turn it black rendering it unusable for the intended purpose of an overlaying image on either another image or a background. The following is a screenshot of a 18 images that are loaded each time someone views one of my pages. Although bright,, colorful and kid friendly these images were at times HUGE. 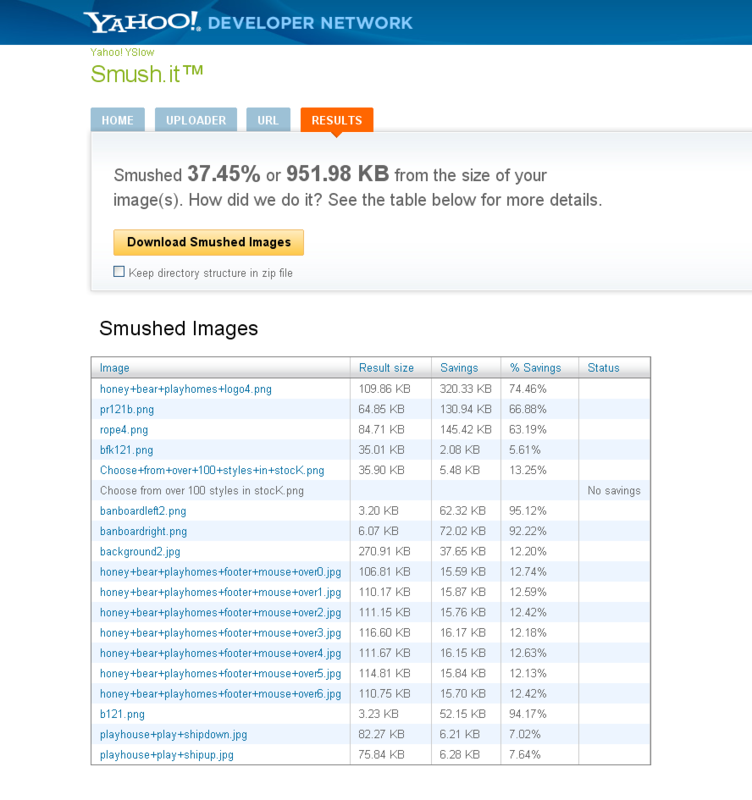 After only 20 minutes I compressed these images and saved a combined 951.98 KB on my page load. That's nearly 1 MB in 20 minutes with no discernible difference from the full quality images that I previously had on my website. If you find my threads useful please share my website with your social network friends.. I was searching for a tool such as this only hours ago and this one popped up on my Google search. I didn't bother to explore it - but I will certainly go back for a look now.